Are you rocking that vegan lifestyle in order to advocate for animal welfare? Awesome. But if you have any tattoos, odds are high that — unless you did your research ahead of time — your tattoo is about as vegan as rubbing your face with bacon bits. It’s true: the ink and aftercare products that most tattoo artists use are loaded with ingredients derived from animals. Those ingredients can range from charred bones, which are used to pigment black ink, to lanolin, a moisturizer derived from an oil found in sheep’s wool. However, it’s still possible to get a vegan tattoo and rock that arm sleeve. Here’s what you need to know about cruelty-free ink — and how it can help improve the planet one line at a time. If you live in a major city with a high vegan population (like Portland, Los Angeles, or Brooklyn), odds are high that asking for vegan tattoo ink won’t raise any eyebrows. At the very least, it’ll be easier to find a tattoo artist who’s knowledgeable about cruelty-free tattoo products. But even if your favorite tattoo artist has never heard of cruelty-free ink, you can always take matters into your own hands. 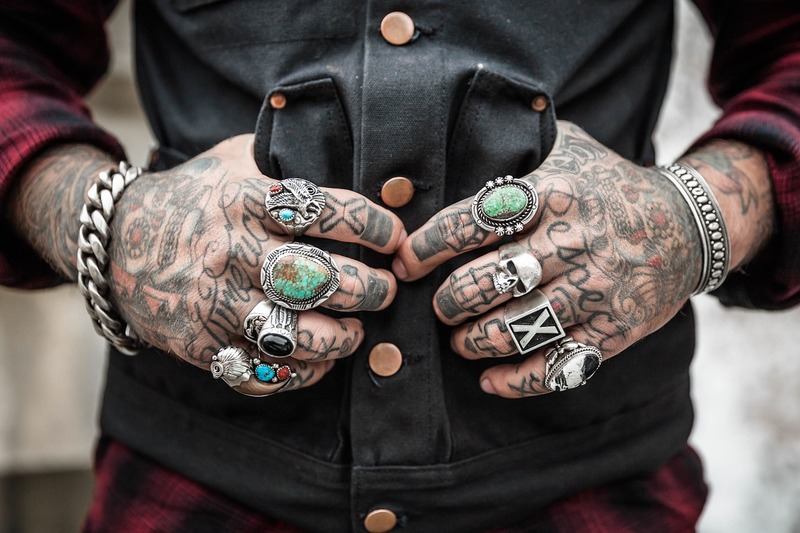 Vegan tattoo ink companies like Stable, Intenze, and Waverly Color can supply you and your tattoo artist with a range of colors for your next piece. Many deep black inks are made from charred animal bones, and glycerin — which is derived from animal fat — is added to ink as a stabilizer. Gelatin (made from animal hooves) and shellac (made from beetles) can also end up in ink, which is why vegan tattoo inks primarily use plant-based ingredients. Okay, so you’ve gotten your vegan tattoo ink all squared away. Now it’s time to get your skin repeatedly stabbed with a small needle. Your artist grabs a razor, shaves your skin, and uses some transfer paper to stencil your tattoo’s outline. When the painful process is over, they ask you to pick up some Aquaphor to help the tattoo heal. Cool? Well, not if you’re vegan. Many razors have a lubricating gel strip loaded with glycerin, and lanolin can be found in transfer paper and popular aftercare products like Aquaphor. To make sure you’re not sacrificing your cruelty-free lifestyle, ask your artist about which products they plan to use during your tattooing process. Check out Fifth Dimension Tattoo’s vegan aftercare instructions, which ask clients to use vegan tattoo cream or coconut oil during the healing process. Just in case your artist only has razors with glycerin strips, bring your own razor to your tattoo appointment.. A freehand tattoo is the only way to avoid using lanolin-based transfer paper, unless your tattoo artist uses a vegan stencil paper, like Monocle Tattoo does in LA. As for aftercare creams, you have options. You can use a cream made specifically for a vegan tattoo, like products from Black Cat. Alternately, you can use another product approved by your tattoo artist, like coconut oil or Lush’s vegan Ultrabalm. It might seem like a hassle to coordinate cruelty-free products ahead of time, but making ethical swaps can significantly boost your sustainability cred. After all, veganism is a surefire way to combat animal testing — which saves not just animals, but also the planet as a whole. In 2015, the Dietary Guidelines Advisory Committee stated that a vegan diet is actually good for the environment. The federal report pointed out that the organically grown vegan diet “had the lowest estimated impact on resources and ecosystem quality.” In the US, “beef was the single food with the greatest projected impact on the environment.” Other high-impact foods include cheese, milk, and seafood. Meat-eating is a stressor on the planet, and anything we can do to move away from relying on animal products is a solid step toward ecological progress. So, even though getting a vegan tattoo requires an extra bit of work, it can also help bring more attention to the reason vegans pursue an animal-free lifestyle in the first place: ethics, responsibility, and environmental stewardship. In short: rethink your ink. It’s worth your time. "Making ethical swaps can significantly boost your sustainability cred." More than four million tons of junk mail are produced each year, and half of that ends up in a landfill.